WASHINGTON, D.C. (March 9, 2010) – On March 1, 2010 a coalition of 25 civil liberty advocacy groups, think tanks and other nonprofit organizations sent a letter to President Obama  requesting the nomination of appointees to the Privacy and Civil Liberties Oversight Board (PCLOB). According to the letter, the PCLOB “is one of the few safeguards adopted to protect Americans from improper intrusions into our privacy and civil liberties” from national security laws. With all five seats on the board vacant since late 2008, the letter is calling for the President to “appoint individuals immediately.” Excessive government intrusion into nonprofit programs is affected, in procedures such as USAID's proposed Partner Vetting System . Joining the call for nominations, Senate Judiciary Committee Chairman Patrick Leahy (D-Vt.) sent a letter to the White House on March 8 . 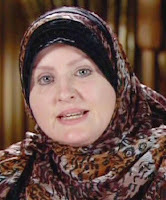 Representing one of the signatory groups, Aishah Schwartz, Director of the Muslimah Writers Alliance, said in a press release , “With the foiled 2009 "Christmas Day" bombing, the President and Congress have called for sweeping policy and legal changes – including the expansion of watch lists and more intrusive searches at airports – adding to the urgency and absolute necessity of filling the PCLOB's empty seats." The letter was signed by American Association of Law Libraries, American Booksellers Foundation for Free Expression, American Civil Liberties Union, American Library Association, Arab American Institute, Association of Research Libraries, Bill of Rights Defense Committee, Center for Democracy & Technology, Center for National Security Studies, Council on American-Islamic Relations, The Constitution Project, Defending Dissent Foundation, DownsizeDC.org, Inc., Electronic Frontier Foundation, Electronic Privacy Information Center, Federation of American Scientists, Government Accountability Project, Liberty Coalition, Muslim Advocates, Muslim Public Affairs Council, Muslim Writers Alliance, OMB Watch, Privacy Lives, Rutherford Institute, and the U.S. Bill of Rights Foundation.